...NewSat’s Jabiru-1 satellite, primed by Lockheed Martin based in Newtown, Pennsylvania. This contract is a new milestone for Astrium in the U.S. market and the first contract from Lockheed Martin for this type of equipment. In December of 2011, Astrium won a contract for delivery of a high precision Fiber Optic Gyro Unit (Astrix®) for the NASA/NOAA Joint Polar Satellite System (JPSS) mission. 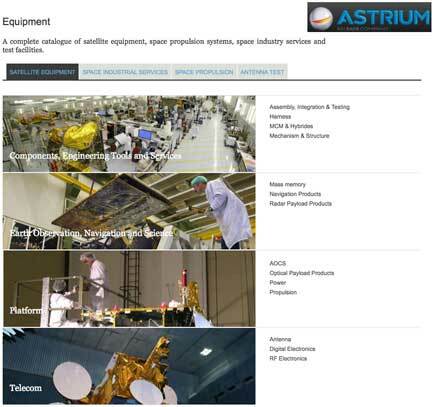 Beyond these latest successes, Astrium regularly supplies equipment to U.S. prime contractors through its subsidiaries Tesat, Jena-Optronik, and Dutch Space. Astrium will supply Ku-band communications receivers and Ka-band beacons to Lockheed Martin. Lockheed Martin has been selected by Australian based NewSat to manufacture the Jabiru-1 satellite scheduled to be launched in late 2014 aboard an Astrium-built Ariane-5. Jabiru-1, which has a minimum lifetime of 15 years, is expected to be positioned over the Indian Ocean to cover regions including Afghanistan, Pakistan, Iraq, Saudi Arabia and Somalia. The equipment to be supplied uses technologies developed for the Generic Flexible Payload (GFP) program, supported by the U.K. Space Agency (UKSA) and the European Space Agency (ESA). The Ku-band communications receivers recover the very low power uplink signals from ground stations and provide frequency domain isolation between the uplink and downlink signals to avoid interference. The Ka-band beacons provide a signal to enable ground antennas to locate and lock onto the spacecraft position. All products will be delivered in the first half of 2013.